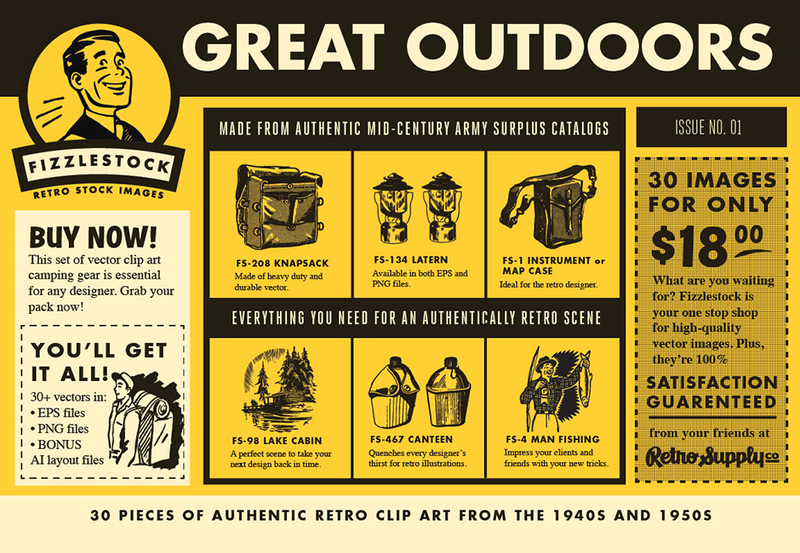 36 Pieces of Authentic Outdoor Themed Retro Clip Art from the 1940s and 1950s. 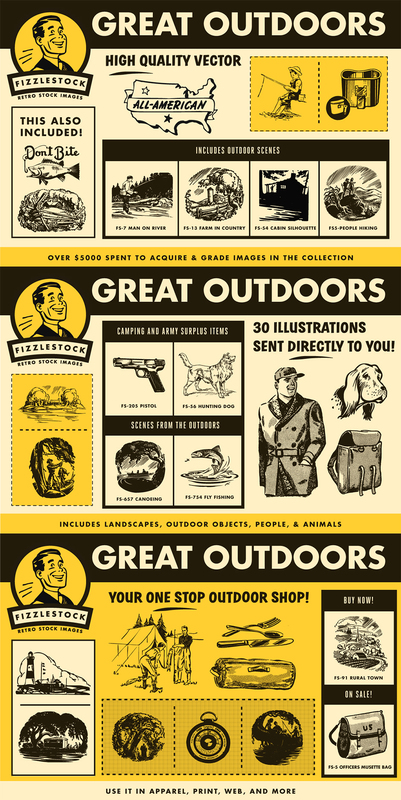 36 illustrations in .EPS and .PNG format. Software compatibility:Adobe Illustrator and Adobe Photoshop CS1 or newer. .PNG files will work with most graphic software. .EPS files will work with a variety of programs such as Adobe Photoshop or Illustrator, Sketch, InkScape, Affinity, Corel Draw, etc. File size is approx 28MB (87MB unzipped), offered as a single download.